Publication: Illustrated Atlas of the World 1849-53 for John Tallis and Company, London and New York. 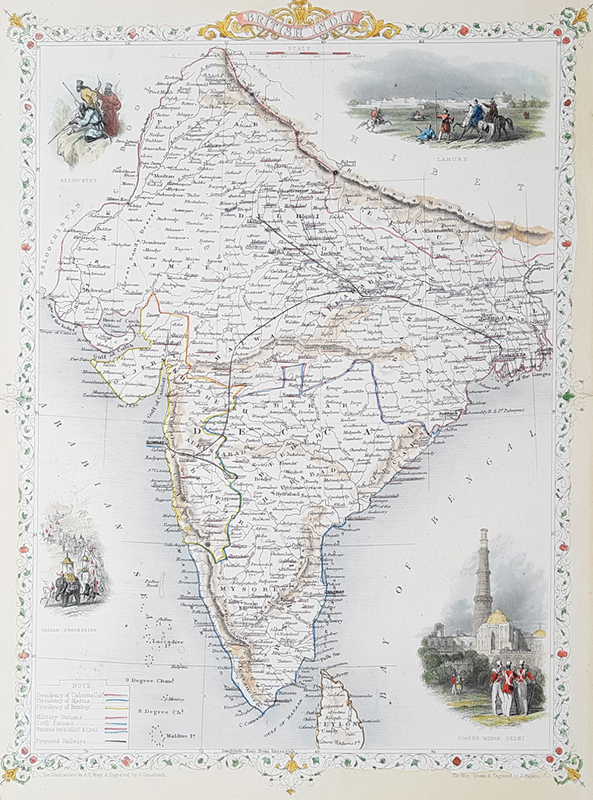 Description: Very decorative map of India with Vignettes of Lahore, Cootub Minar Dehli, Beloochee's, Indian Procession. Key bottom left. Includes Ceylon. Map drawn and engraved by John Rapkin, illustrations by A. H. Way and engraved by G. Greatbach. Condition: Good imprint, laid on card, repaired split to bottom left corner, engraved image unaffected, later hand colouring. Priced accordingly.